Had a great experience. The process was so fast and easy! I was picky and they found a car 400 miles away and had it there in a couple days. They were so nice to deal with. Wow! What an incredible experience. We contacted this dealership with interest in a pre-owned car they had on their website, from the moment we contacted them to the moment we walked out with our new A4 we were nothing but impressed. We were from out of town and they made the process so seamless. The entire team was very warm, welcoming and friendly upon arriving and they made every aspect of our interaction special and personalized. We won't be going to any other luxury car dealership when it comes time to buy our next vehicle. We would recommend anyone in the market for any vehicle to contact them. Special shout out to Matt, Noel and the very friendly and helpful saleswoman in training. So glad we chose to purchase here. I know under old management they had a bad reputation, but they have moved heaven and Earth to help me out even post sale. I had a wonderful experience working with Brian Nunn and Brice Peters. Brian constantly checks to make sure everything is going well with my purchase, and Brice has gone above and beyond with helping me navigate Volkswagen Credit. I appreciate great customer service, and they have shown it! Thank you ! Nice staff , nice service ... knowledgeable team on hand . 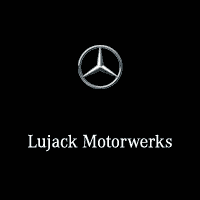 We had a very good experience at Lujack's luxury showroom. Tim Sweeten made the experience very comfortable and easy. From the start to finish, Tim took time explaining about various features (brought Audi q7) gave enough time to make up my mind and finally helped with negotiating the final deal. I highly recommend him and if you are looking for a luxury car, please call Tim and you wouldn't regret it. I gifted q7 to my wife on our anniversary and she felt very happy and Tim went above and beyond and helped me made that possible. Thank you Very much. 5 star to Tim Sweeten.